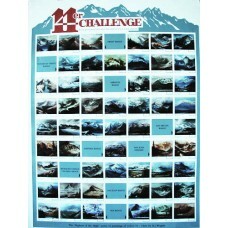 Celebrate your 14er summits with this original artwork poster. All pictures were originally hand painted by R.L. Wogrin and show the 14ers from an amazing point of reference. Mr. Wogrin hiked out to each of these spots to get these great images. 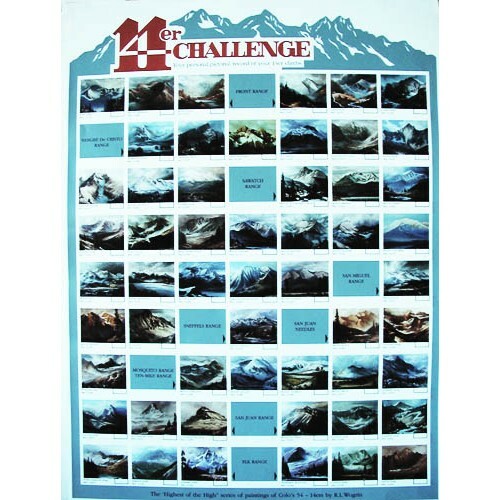 This poster is a personal and pictorial record of your 14er climbs. It lists by range all of Colorado's 54 fourteen thousand foot peaks, with names and elevation and a check-off box to record the date of your climb. The size of the poster is 18x24 inched and is printed in color on 150 lb cover stock.